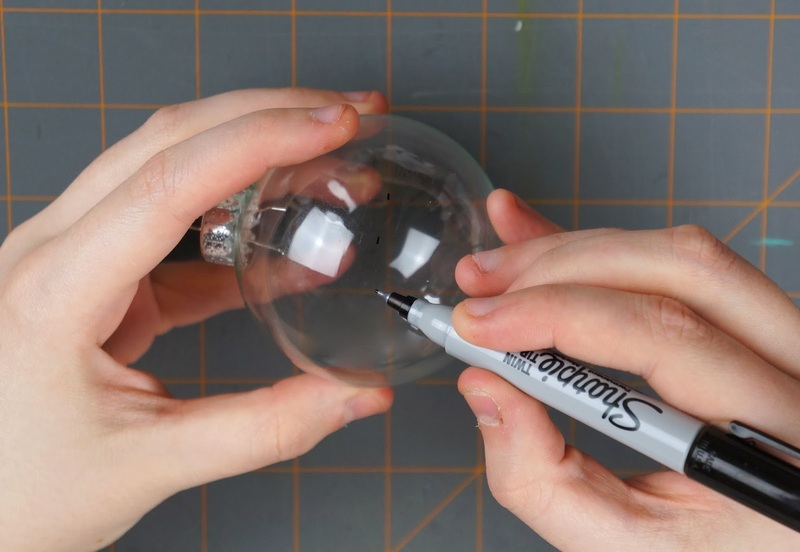 Start off by marking around the middle of the ball with a permanent marker. When you've gone around the entire ball, remove the end/ cap of the ornament. Squeeze some white acrylic paint into the bottom of the ball. 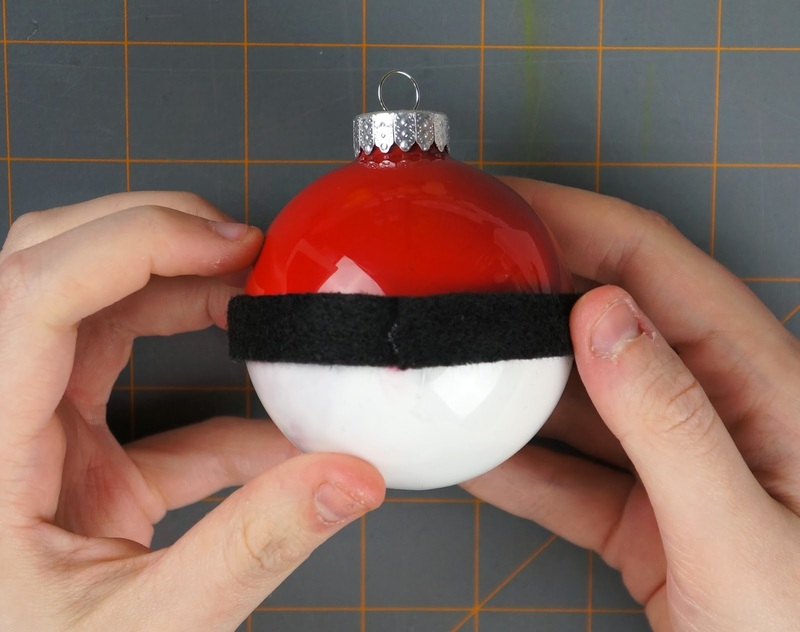 Make sure to squeeze the paint straight down so that you don't hit the sides in the upper half of the ball. Gradually rotate your ball to spread the paint around. Use your guidelines around the center of the ball to help you with how far up you should spread the paint. 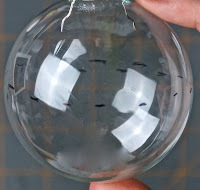 Don't go past those lines, keep the white paint in the bottom half of the ornament. When you have the entire bottom half covered, set the ball bottom half down (white side down) and let the paint dry completely before moving on to the next step. Make sure that the ball doesn't tip over when drying so that any wet/ excess paint doesn't go onto the upper half. When the white paint is dry, hold the ball on it's side and squeeze some red acrylic paint into the ornament. Rotate the ball until the entire upper half is covered then let the paint dry with the red side facing down. 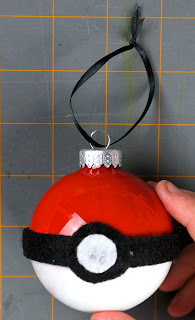 You'll need to put a paper towel or something under the ornament when it drys to protect your surface from any excess paint that might drip out of the hole. 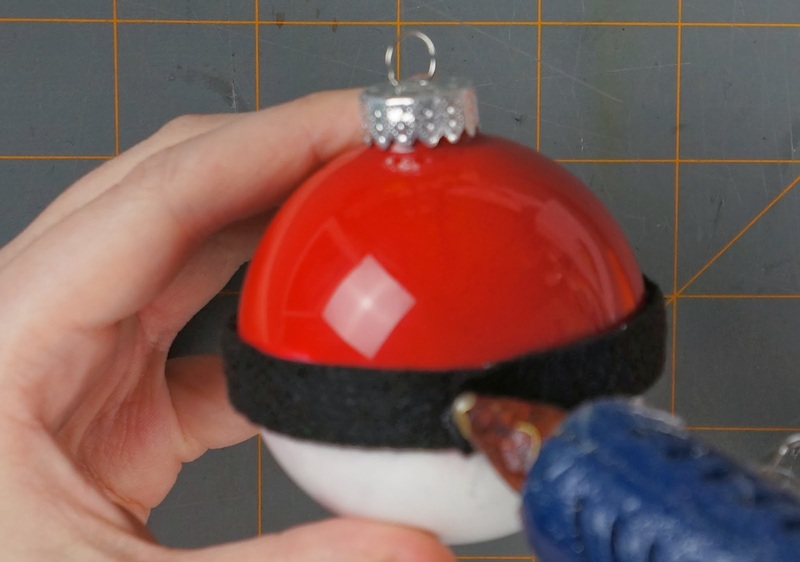 When the red paint is completely dry, reattach the top of the ornament. 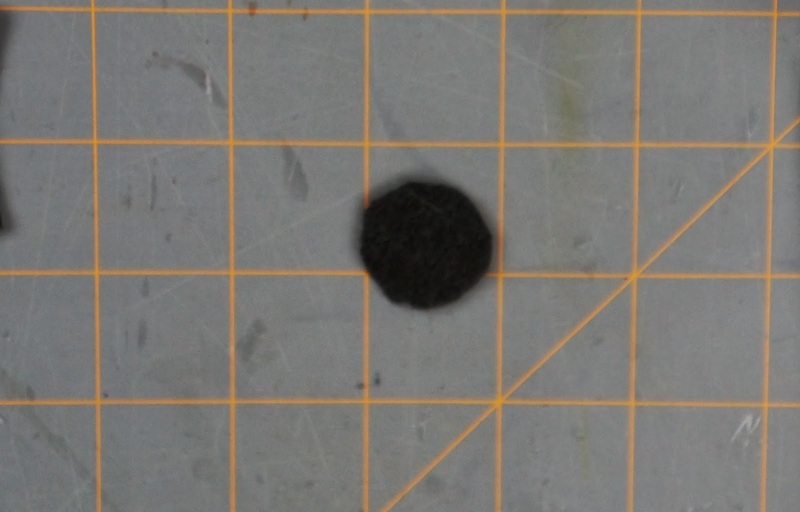 Then take some black felt/ foam and wrap it around the middle section of the ball to measure the length you need. 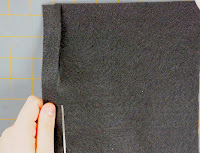 Then cut out a thin strip. 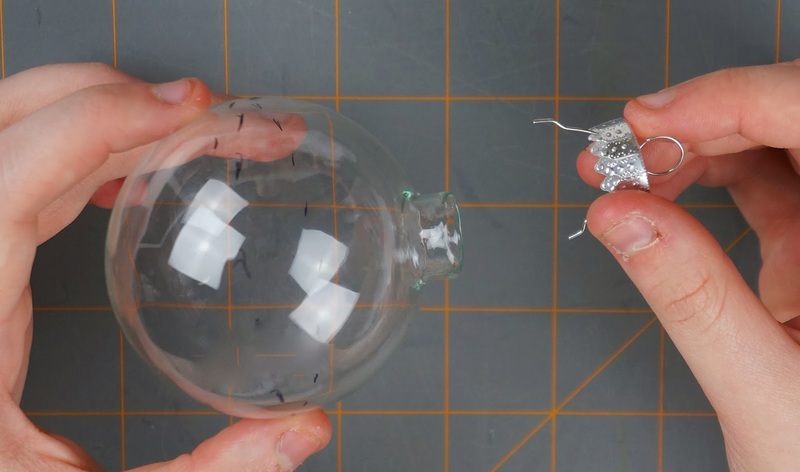 Start at one end of the strip, and glue it onto the middle section of your ornament. Work your way around the ball until you get back to where you started. 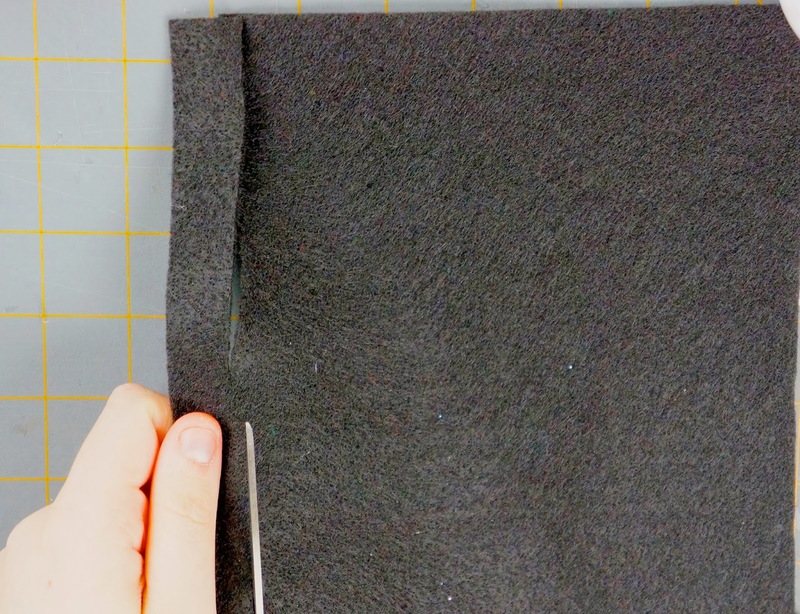 Cut out a circle from your black material. Make it slightly larger than the thickness of your strip. 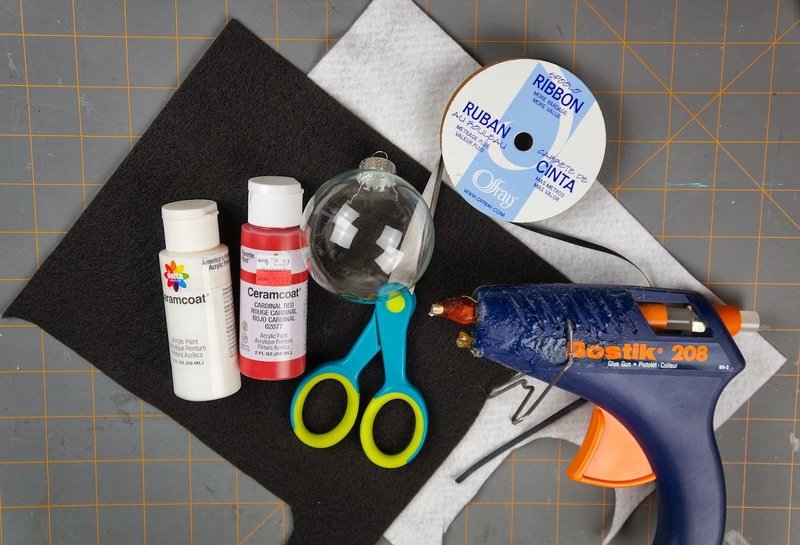 Glue your black circle onto the strip where your two ends meet/ overlap. 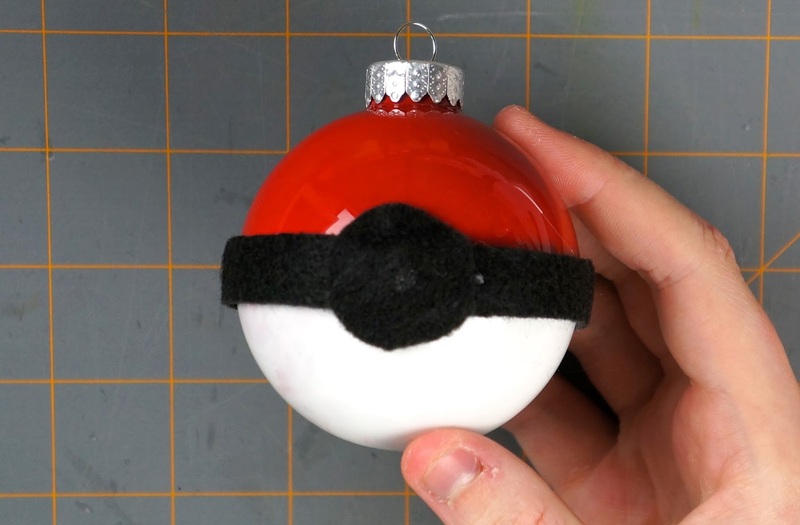 Then cut out a smaller circle out of your white felt/ foam and glue that onto the black circle on the Pokeball. 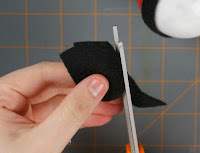 Then you can cut a piece of ribbon/ sting, thread it through the top of the ornament and tie the two ends together. 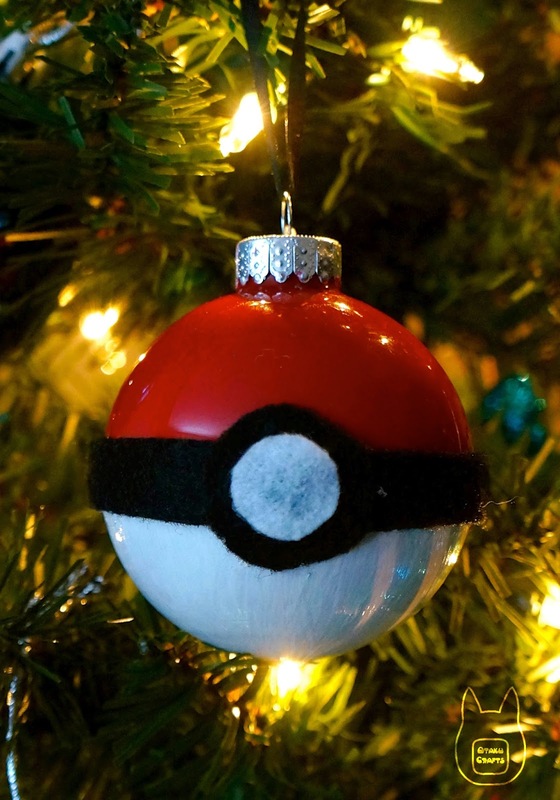 And there you have your own Pokeball ornament!